Now that you are a U.S. citizen through naturalization, you should apply for a U.S. passport. You will need a passport to travel internationally. Another document you can use to go outside the U.S. is a passport card. However, a passport card can only be used to reenter the U.S. from Canada, Mexico, Bermuda, and the Caribbean. So, it best to get a passport. Every U.S. citizen, whether by birth or naturalization, should have a passport. Applying for one requires some documents and a fee. The State Department provides a list of all the necessary documents on the application form. So, when you get the application form, you will have all the information on how to apply. To start the process, you must get the application. You can get a copy at any acceptance facility or download it here. Once you download form with instructions and print it, you can start gathering the supporting documents. Since you had to give your green card at the ceremony, you can use your Certificate of Naturalization as proof of citizenship and your identity. So, you must make a copy of the certificate and keep it safe. As one of the supporting documents, you must submit the original Certificate of Naturalization. Don’t worry; you will get it back 1-2 weeks after to get your passport. In addition to the Certificate of Naturalization, you must submit a passport size color photo. You can have your picture taken at the nearest CVS pharmacy or Walgreens. If you want to do it yourself, make sure you follow the instructions that apply to a passport photo. Now that you have the application complete it with a black ink pen. Do not sign it yet. Since it is the first time you are applying for a passport, it should be done in person. Locate the nearest acceptance facility to submit your documents. You can go to the post offices, clerk of court offices, public libraries, and other government offices to give the application. When you apply, you will have two options to process the application. The standard processing takes 4-6 weeks and costs the cheapest. It will cost $145 for a new passport. If you need a passport sooner, pay the additional $60, and you will get it in 2-3 weeks. 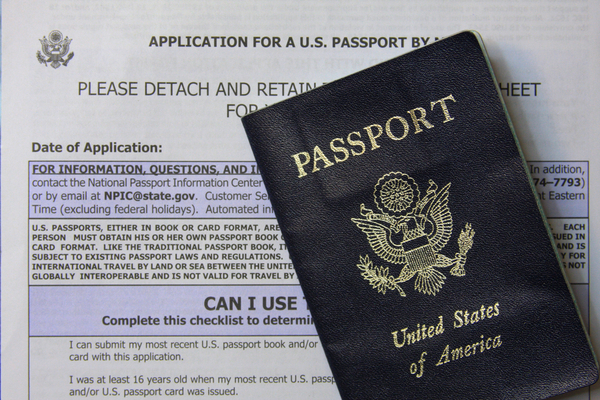 After the agent accepts the documents and payment, you can now wait until you receive the passport in the mail. The waiting time is going to be on the type of processing you choose. Once you receive your travel document, open it and sign it. Your passport is invalid until you sign it. You must sign with a pen and not a pencil or marker. For a minor’s passport, a parent or guardian can sign for the child.